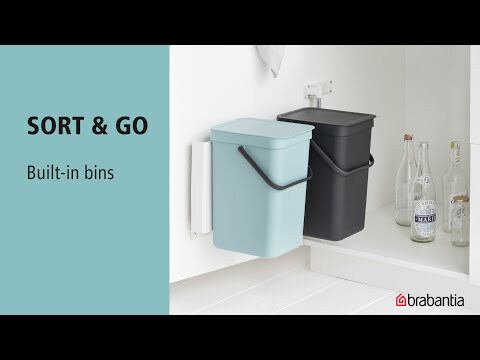 Brabantia's new Sort & Go bins are a beautiful solution for separating, collecting and transporting your household waste. These smart double bins fit discretely inside your cupboards, making them perfect for separating your waste and recycling. The pack comes complete with a sturdy mounting frame, fixings, along with a clear manual (there is even a video you can watch, which can be seen on this page), to making fitting them a breeze. Please note that the space remaining in the width (on the hinge side between the inner side of the cabinet and outer side of the column) is 22.0 mm (0.9 in). Please note that the space remaining in the width (on the hinge side between the inner side of the cabinet and the outer side of the column) is 22.0 mm (0.9 in).